Education Minister Dr Dipu Moni on Sunday claimed in parliament that no question paper of the ongoing SSC and equivalent examinations has so far leaked and there was no rumour either as her ministry has taken all possible measures to this end. “No question paper of the ongoing SSC and its equivalent examinations 2019 has so far got leaked. Even there was no rumour,” she said replying to a starred question from Awami League MP Selim Altaf Gorge (Kushtia-4). Dr Dipu Moni mentioned that her ministry has taken a number of measures to prevent the leak of question papers during public examinations. Ensuring the presence of students at examination centres 30 minutes before the test and attachment of security tape on envelopes of question papers are among the measures. No question paper of the JSC, SSC and HSC examinations leaked in 2018, too, said the education minister. About the ‘Policy-2012 to Stop Teachers from Doing Coaching Business in Educational Institutions,’ she said it will be possible to take more effective measures against coaching business as the High Court has recently upheld the policy. 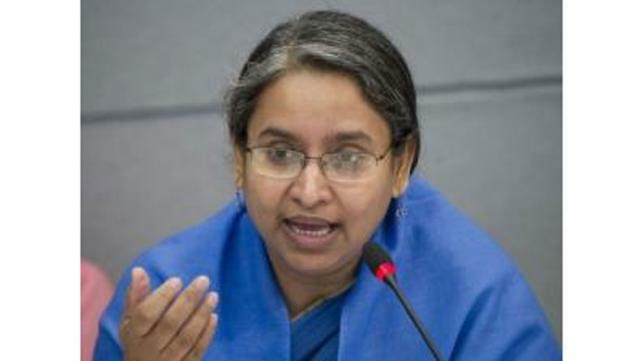 In reply to a supplementary question, Dipu Moni said some 9,000 educational institutions applied online to come under the Monthly Pay Order (MPO) facilities. During scrutiny, some 2,000 of them were found eligible for the MPO, she said, adding that the institutions will be brought under the MPO scheme in phases on condition of getting funds. “I’ve already talked to the Finance Minister in this regard,” the education minister said expressing the hope that the process of bringing the institutions will start soon.